The auxiliary port options are located in the controls section of Nureva Room Manager. All connections are unbalanced 3.5mm ports with a 3-contact tip ring sleeve. 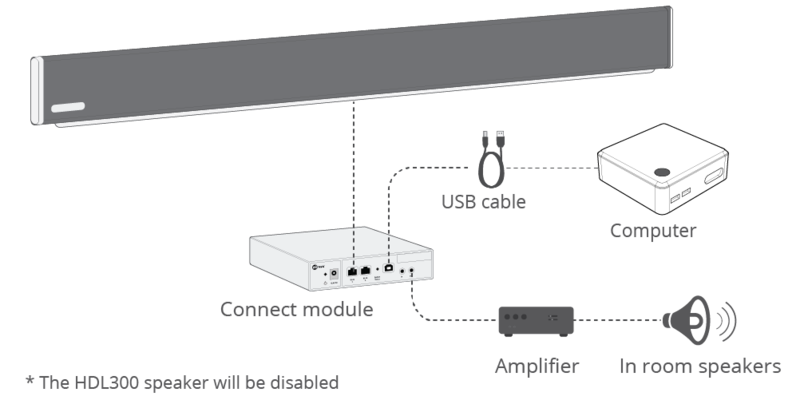 Different auxiliary output modes can be selected in Nureva Room Manager for interoperability with different audio systems. Make sure to disable sleep mode before enabling any of the auxiliary out settings. 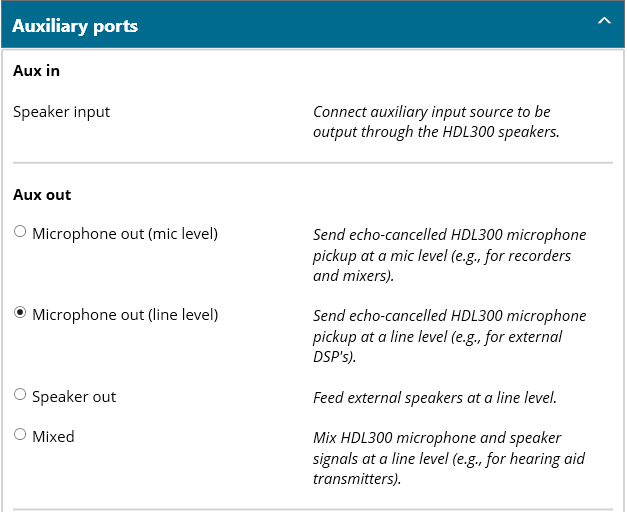 The output contains in-room microphone pickup that is echo cancelled (near-end or local audio). The output contains far-end audio for playback on external speakers. The output is a mono signal and the HDL300 speakers are disabled. 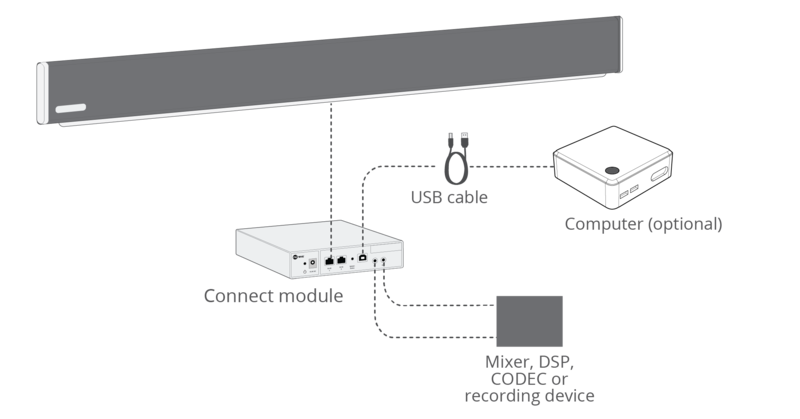 Near-end audio to the computer and far-end audio from the computer is sent by USB. For best results, volume should be controlled from the computer and amplifier settings should be fixed. The output contains both near-end and far-end audio mixed into one signal. With a mixed signal, hearing aid transmitters can transmit both the in-room audio and far end to hearing aid devices. 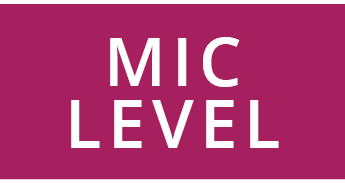 Mic level is maximum 0.23 Vrms (0.65 Vp-p) into 10 Kohm load. 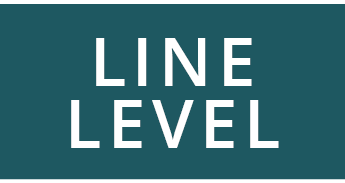 Line level is maximum 0.92 Vrms (2.6 Vp-p) into 10 Kohm load. 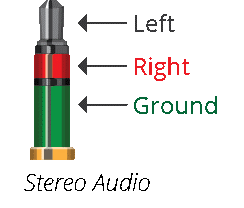 Audio for playback to the room. 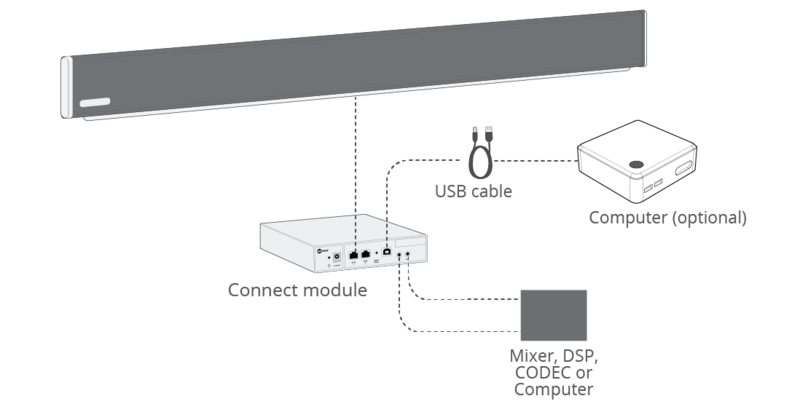 The signals from the auxiliary in port will get mixed with any signals from a USB audio source. *make sure to disable sleep when using the auxiliary in. If you're using any auxiliary in or out connection, make sure to disable sleep under the auxiliary ports options.